Be cautious of those high cards! Since your outstanding cards will be summed up at the end of the gin rummy round, throw away any high cards. Whatever larger than eight or nine is a card that you need to eliminate. The Ace is often regarded a ten and in some cases a one, so confirm this before you start playing. In gin rummy, if you think a player you are playing with is smarter than you, do not sit in position where you will be playing after him. This is because he can counter your every move and block you from winning. And if you sit in a seat before him, you have a chance to block him, but do remember your aim in gin rummy is to win and not just limited to block others. Always prefer for the identical number sequences like the three of clubs, the three of hearts and the three of diamonds instead for the running up sequences like seven, eight and nine. If you already have two similar items, the likelihood that some other player is trying to get the exact same sequence is lower than the possibility that another player is trying to get a sequence that clashes with yours if you are trying to build a running-up sequence. 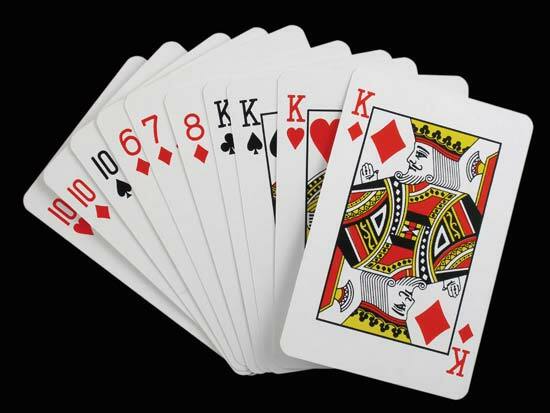 If you are adding joker to the gin rummy game, take a note when your competitors pick up the cards. It is very hard for unprofessional players to hide their excitement when they get a Joker. As soon as you know who has a Joker, try to know the sequences they are trying and block them. Furthermore, throw down any sequence that you have that could conflict with theirs. You can try this online rummy variation on popular rummy sites and win big money! Pick a site and start playing!